Farm methane for so long a neglected part of farming, is a subject which is becoming ever more popular as the word about the energy, and waste management benefits get out! 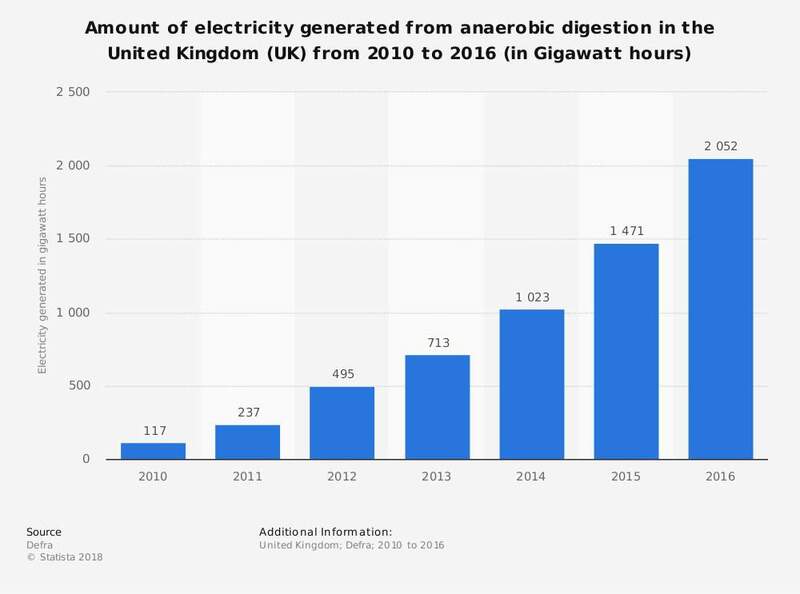 Methane produced in purpose-built and operated biogas-digesters (anaerobic digestion plants). Farm methane is inadvertently being made from anaerobic decomposition in farm slurry pits, and in the sludge beneath storage lagoons, and by the cows on the farm a percentage of whom produce biogas in their gut, and that methane finds its way into the atmosphere as a climate-changing greenhouse gas. Most of this methane production is an unintended consequence of regulations to store slurries (like cow manure) until suitable weather for spreading-on-land, to avoid avoid watercourse pollution. There is also Cow Methane which many cows vent from their bowels during normal ruminant digestion. Some farmers are even fitting their cows with plastic gas holders which the cows wear on their backs, to collect his biogas. 2. Farm Methane produced in purpose-built and operated biogas-digesters (anaerobic digestion plants). 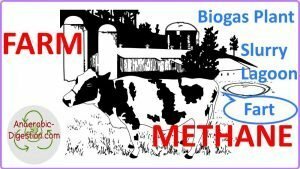 This discussion of farm methane is from now-on is devoted to the “biogas” which is produced through the breakdown of organic matter in the absence of oxygen, and is referred to as anaerobic digestion. Farm methane is made in a biogas digester. The biogas (methane) is a renewable energy, that can be used for heating, electricity. Many other operations that use a reciprocating internal combustion engine, such as GE Jenbacher or Caterpillar gas engines allow that energy to be sold as electricity delivered into a local electricity power supply (system). Biogas may require treatment or ‘scrubbing’ to refine it for use as a fuel for all but the most basic uses. Farm methane is produced using organic material, which is broken down with the help of bacteria in an anaerobic (oxygen-free) environment. The gas may be used on the farm or locally for energy purposes, by coupling the generated fuel with a CHP unit. After sophisticated purification, it may be upgraded into biomethane, and introduced to the gas network, transmitted and used for a multitude of energy purposes. Taking into account the fact that the raw material for the production of farm methane/ biogas may be obtained practically without incurring any costs. By substituting woody biomass for energy, biogas may reduce local deforestation. Farm methane has in the past most frequently been made from manure from dairy cattle. But, it can also be produced form lignocellulosic feedstocks, such as straw, or chicken litter, but most say that this can only be accomplished for pure feeding, after pre-treatment with steam and enzymes to break down the cell walls. Remember that biogas is primarily methane (CH4) and carbon dioxide (CO2) and may have small amounts of hydrogen sulphide (H2S), moisture and siloxanes. The raw farm methane will contain high levels of water (humidity) and sulphur, depending upon the feedstock of the digester. So, for uses that require the gas to be used in internal combustion engines, boilers or fuel cells, the biogas will need to be pretreated in order to remove corrosive or dangerous contaminants. 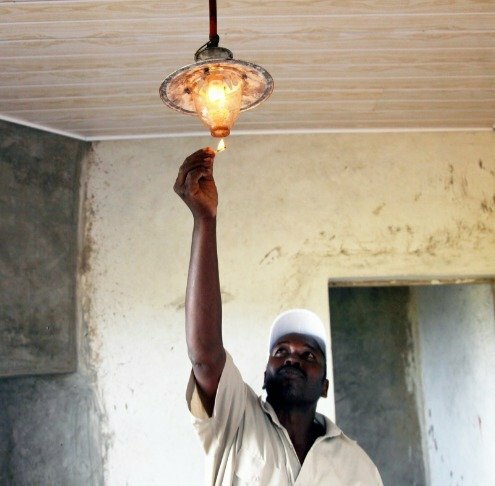 Biogas lamps can provide good lighting. Biogas is a renewable energy source. Biogas is considered to be a renewable resource because its production-and-use cycle is continuous, and it generates no net carbon dioxide. Biogas is one of the most widely used alternative sources for the production of renewable energy. Alternatively, the biogas can be ‘upgraded’ to pure methane, often called biomethane, by removing other gases. Even though, a biogas may be a clean fuel, an upgraded biogas proves to be better than the untreated one. Click this image to enlarge it! Biogas is also suitable for decentralized heat and power generation. Biogas is a clean and renewable fuel (similar to LPG) that you can make yourself using organic waste materials available on many farms. After being upgraded it can be compressed, the same way as natural gas is compressed to CNG, and used to power motor vehicles. Using Coltri gas compressors, biogas can be be packaged in portable plastic containers and sold to neighbors or be distributed to customers directly from a central storage facility. Biogas can be the energy source for the production of electricity, heat (and the cogeneration of heat and power, CHP), be used as a transport fuel or upgraded to natural gas quality for injection into the natural gas grid. The biogas will displace GHG emissions from kerosene and fuel wood that are currently used for cooking. Plus, biogas can substitute the firewood consumption in schools and institutions. But a national framework within which farm methane is provided with a role, and regulations are tailored to its safe use is a prerequisite of a healthy biogas industry. As long as the national framework conditions are not favourable, electricity generation from biogas will remain limited to a few pilot applications. In fact in those countries, some experts believe biogas will have limited use worldwide, with more potential in hydrogen fuel cells or electric motors. 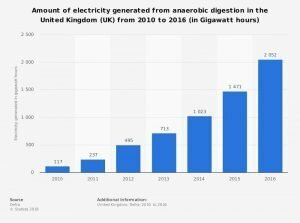 Anaerobic Digestion Techniques Technologies and Innovations – Why All AD Plants are Different!